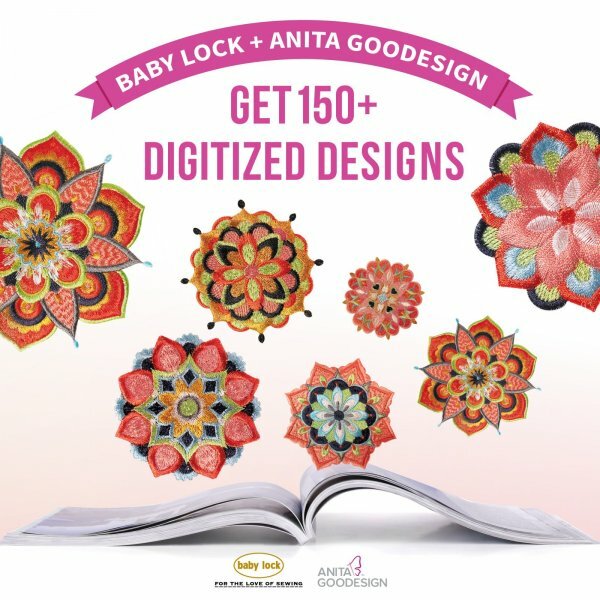 NEW Baby Lock Sewing and Embroidery Machine 2018: Now Accepting Pre-Orders! Deadline to pre-order is end of day Saturday, August 4th! We cannot WAIT to see what amazing new features Baby Lock has in store for us! 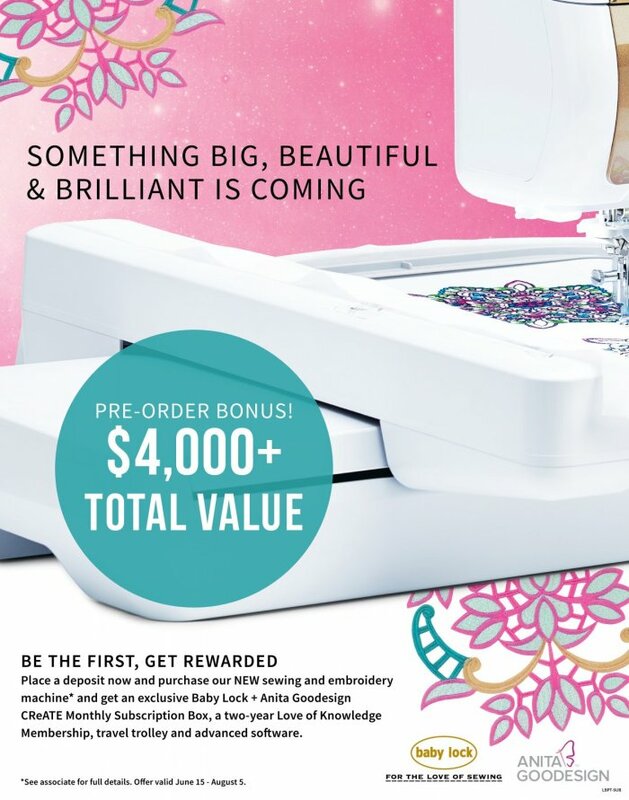 We are accepting pre-orders for the NEW Baby Lock top-of-the-line sewing and embroidery machine. 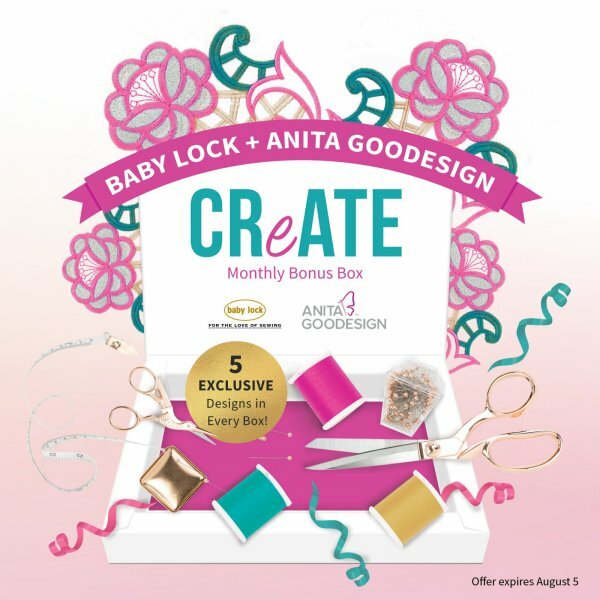 EACH Monthly Bonus Box includes 5 Exclusive Designs, plus notions! We are planning some special events to welcome the new Baby Lock machine! and we will save a FREE gift for you (valued at $700)! 2) Show up, have fun, and see what all the excitement is about! These events will take place at our store in Geneva, and YES - we WILL have the new machine there to see in person! Q: What about my Destiny / Destiny II? A: The Destiny is not going anywhere! Your machine is still just as valuable, and Baby Lock (and our store) will continue to support your machine and you. Q: Will you still have Destiny Club classes? Q: What is the new machine called? A: That hasn't been revealed yet... we will have to wait until after August 5th! Q: How much will the new machine cost? A: We will not know pricing information until Baby Lock releases it after August 5th. Q: Will you be accepting machine trade-ins? Q: How can they POSSIBLY have added more to what the Destiny already offers?! A: We are excited to find out! We have heard a LOT of buzz from Baby Lock that this is their most exciting machine launch yet... We can't wait to bring it to you! And don't forget to sign up for the Machine Launch Party & Demo!